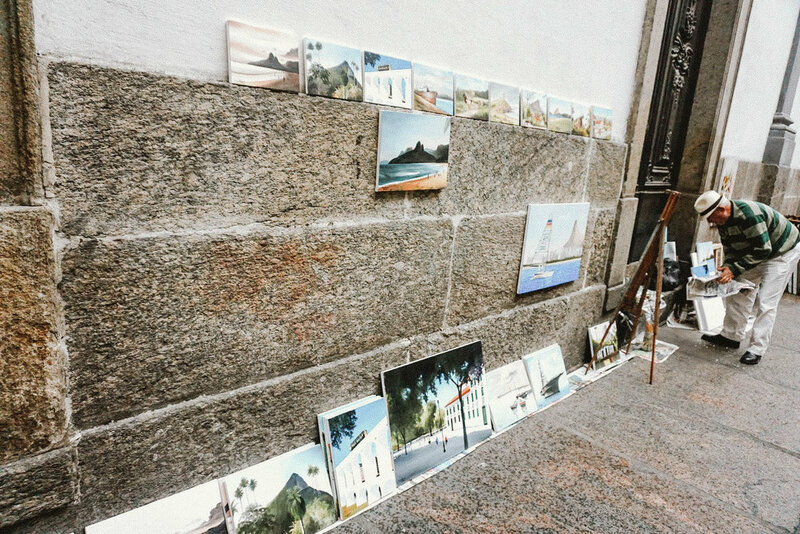 My first time in Rio de Janeiro was a whirlwind of adventure. I actually came here to watch the 2016 Olympic Games but fell in love with everything this unique and lively city had to offer! Because we were running around watching Olympic events, I didn’t have as much time as I would have liked to explore every part of Rio. BUT on route to games and during some free mornings or evenings, you better believe that I was running around the city with my future in-laws! 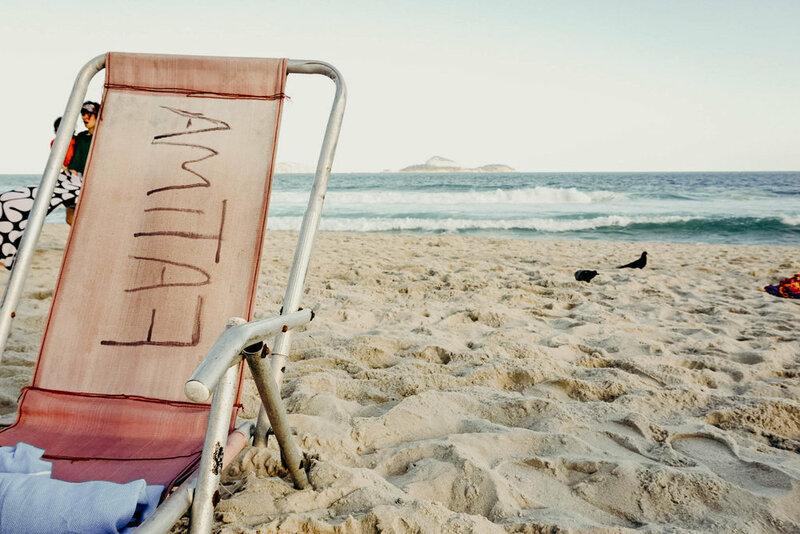 Rio boasts some of the best and most beautiful beaches. Uniquely they are public beaches (think Ipanema and Copacabana) where the hotels are across the street as to not interfere with the best spots or views. 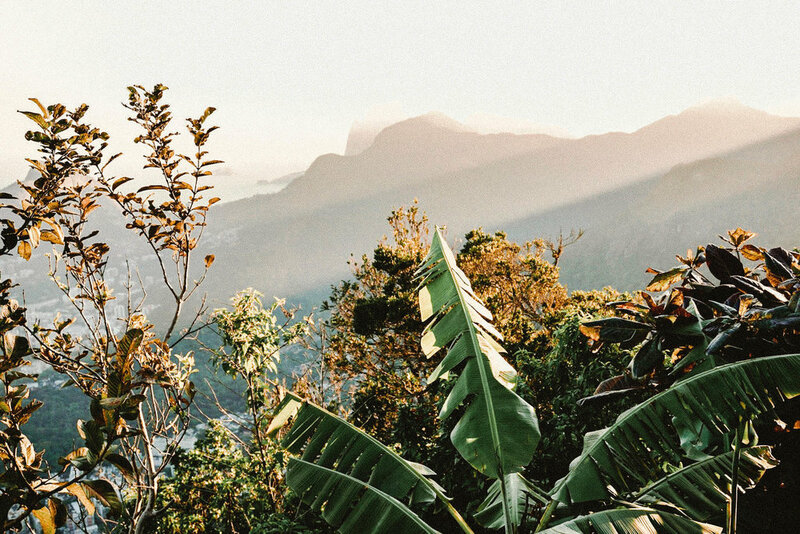 From the beach scene to the outdoor rainforest adventures, to the world’s most stunning urban landscapes, Rio de Janiero is a must visit location. Bring your dancing shoes, there is soulful hip-hop, funk, and regional styles around every corner. Grab a local drink at one of the pubs or bars to watch a football game (ie. soccer game for you North American’s). Football is like their religion so make sure you answer correctly when they ask you what team you’re cheering for! And if your answer is right, you just found yourself some new best friends. Brazilians sure know how to party and there isn’t a shortage of places to do that but if it’s not your scene, I promise you’ll still fall in love with this colourful city. Despite all the photos of beautiful beaches, remember that Rio is surrounded by a rainforest. If you are visiting during the rainy season (late October to March), bring some weathered shoes and a jacket! Invest in a MetroCard as the metro is the easiest and cheapest way to get around. During the Olympics the city was unbelievably busy. Yet even without the extra few million people the city is huge and can be difficult to navigate. One recommendation is to not pack your days and leave room for traffic or unplanned delays. Allow yourself plenty of travel time to get to your destinations. Bring mosquito repellant. Those pesky little buggers love to come out and play during sunset hour and carry a lot of unfortunate things. Stay healthy, kids! Exercise caution and be weary of where your wanderlust takes you in this city. The country still has a myriad of social justice problems and there is an increased amount of crime for foreign travellers. Be safe and cautious and perhaps don’t spend time walking around these lovely areas in the evening. Don’t bother bringing your own food, chair, or umbrella to the beach. All the supplies can be bought or rented down at the beach for a very cheap price. Rio is divided into three zones: the Zona Norte, the older Centro, and the beach-lined Zona Sul. 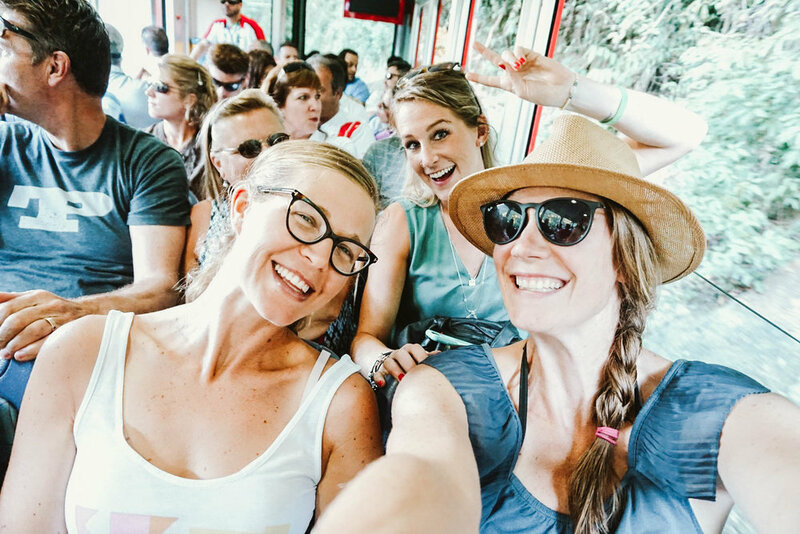 Up the red narrow-gauge train to the top of Corcovado Mountain. If you want an awesome photo with Christ the Redeemer, I suggest waking up at the crack of dawn to beat the crowds. That, or just be over 6 feet. 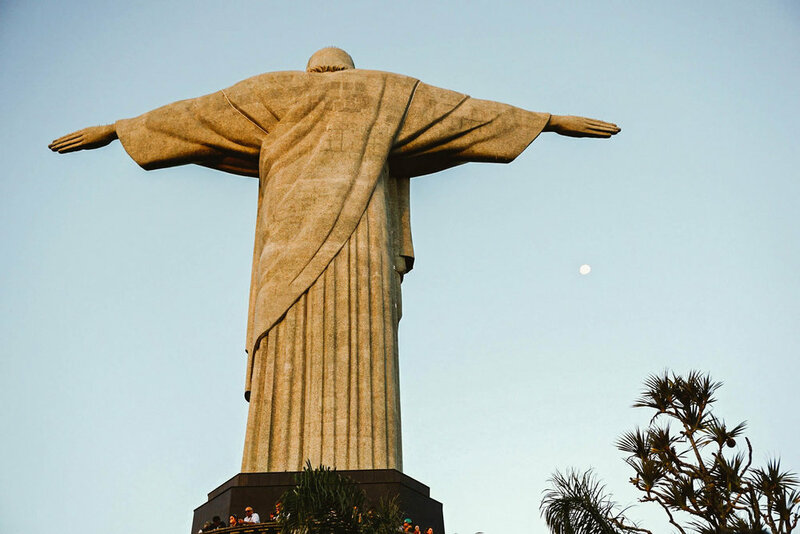 One of the most recognized and iconic Wonders of the World, Christo Redentor (Christ the Redeemer) stands proudly over the city of Rio at the top of Corcovado Mountain (which means ‘hunchback’). The mountain rises straight up from the city to a whopping 710m. During the evening Christ the Redeemer, who is 38m tall on his own (and 1145 tones) is lit up and is visible from nearly every part of the city! To visit you can hike up the mountain, take a mini bus, or take a slow train up to your destination. The most popular route is taking the red narrow-gauge train that departs every 30minutes which takes 20minutes to get to the top. I recommend heading up in the morning to skip the crowds or at sunset to get the most incredible view of Rio and all it’s glory during golden hour. Mid day is extremely busy with tours so it might be best to be on the beach for those hours! There is also a very nice restaurant and cafe up on the peak so after you’re done getting all your best shots of and with Christo Redentor, I recommend coming here to marvel over him and the city’s views. I hope you get a sunnier, clearer, less windy day than I did! Met some friends at the top. Zoom in, they’re smiling. I spy Christ the Redeemer. The Sugarloaf Cable Car will take you from Praia Vermelha to Sugarloaf Mountain which offers spectacular bird’s eye views over the city. Opened in 1912, it has been in continual use even through the 1979 James Bond Movie, Moonraker. Sugarloaf Mountain rises 396m over the Rio Harbour and involves taking two cable car rides dangling over the extra large gap between two mountains. But worry not my fellow scared-of-heights-friends, you feel safe and secure the entire way up. At the top, the city unfolds beneath you; Copacabana Beach can be seen off to the south and Corcovado Mountain and Christ the Redeemer to the west. The best time to come is before 11am to beat the 2,500 visitors for the day but the cable cars run ever 30 minutes so you’ll be able to make it up the mountain regardless. This mountain is an excellent spot to watch the sunset and take in the panoramic views of the city! Attempt to go on a clear sunny day to get the best views but if you’re like me on a tight schedule, you’ll still appreciate it even on a cloudy, very blustery day. One of the country’s most famous natural landmarks, it is of course one of the top things to see here in Rio. Highlighted from the song “The Girl From Ipanema” this beach lives up to the hype. Beautiful soft white sands stretching as far as the eye can see, distinguished coastal mountains, and amazing waves crashing against the shoreline. Whether or not you’re coming from a hotel across the street or making the trek across the city for a beach day, it’s easily accessible and extremely convenient; shops, cafes, tent and chair rentals, free showers, etc. Ipanema Beach can get busier in the afternoon but you don’t even mind sharing some of your space because it’s so beautiful. There’s a real active culture so make sure to take a walk along the paved walking strip above the beach, a walk along the sands, or jump in on a game of pick-up beach volleyball. 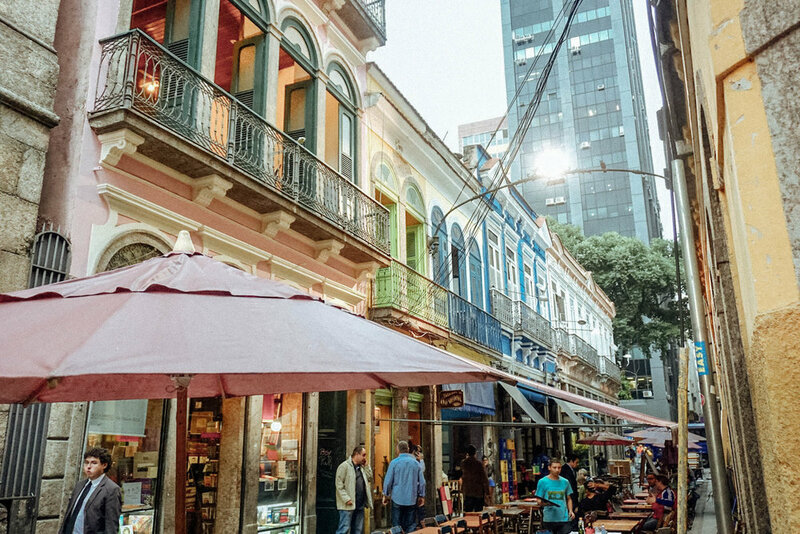 Wander the Ipanema neighbourhood behind the beach for a little break from the sun; it’s one of the most prestigious areas in all of Brazil with a number of restaurants, amazing cafes, and artisan boutique shops. I recommend coming down and putting in some good hours on this stunning beach or the equally famous Copacabana Beach which is located just around the pier. Rent a beach air and umbrella for $5R and grab a coconut at one of the beach bar shacks. It is one of the most beautiful beaches in the world and I guarantee you’ll agree. What pairs perfectly with the most stunning beach in the world? Açai. 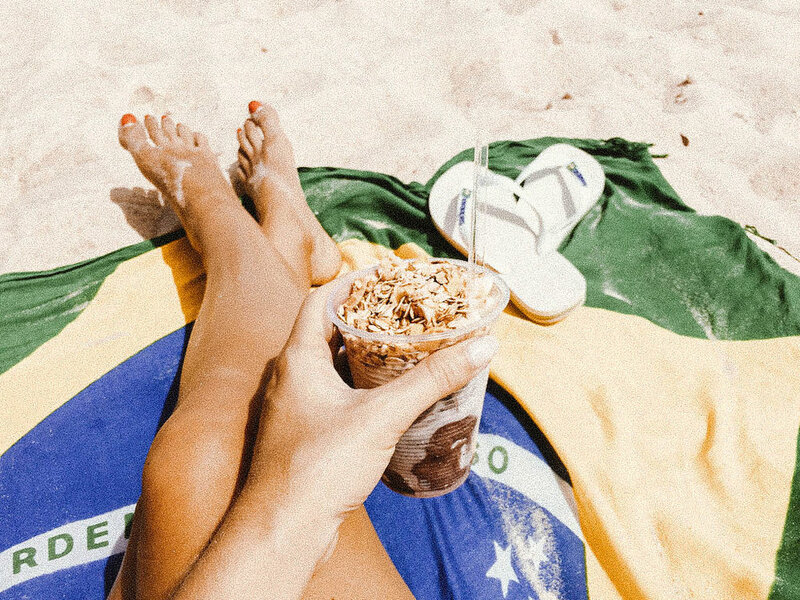 I had many açai’s from the shops just up from Ipanema Beach but you can find this delicious treat just about anywhere. For those of you who think you’ve indulged back home or have made a version of this in your blender (ie. Sambazon; we’re looking at you Costco lovers) you’re missing out. Way more flavourful, way more authentic. I had a large açai every day I was in Rio and I left the country craving more still. Make it into a bowl for more of a meal - topped with granola, bananas, strawberries, and sometimes coconut and honey. I might have to go back to Brazil just for the açai. Avocados… some as big as your head! Strolling through different markets in the Downtown District; stopping for açai, coffee, and a treat. 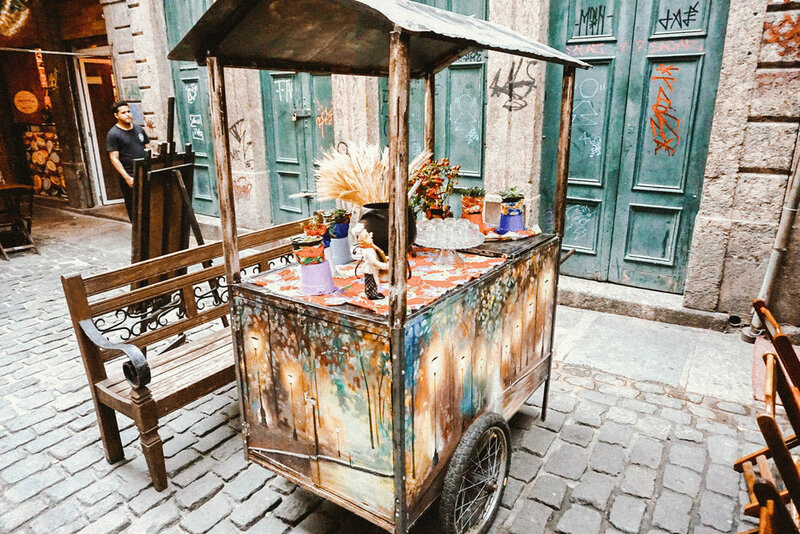 There are lot of different and unique markets all around Rio de Janeiro. The best one that I recommend is the Feira Hippie de Ipanema. One of the larger street markets in the city, this market sells everything from artwork, souvenirs, to the freshest and best fruit and vegetables you’ll ever find. 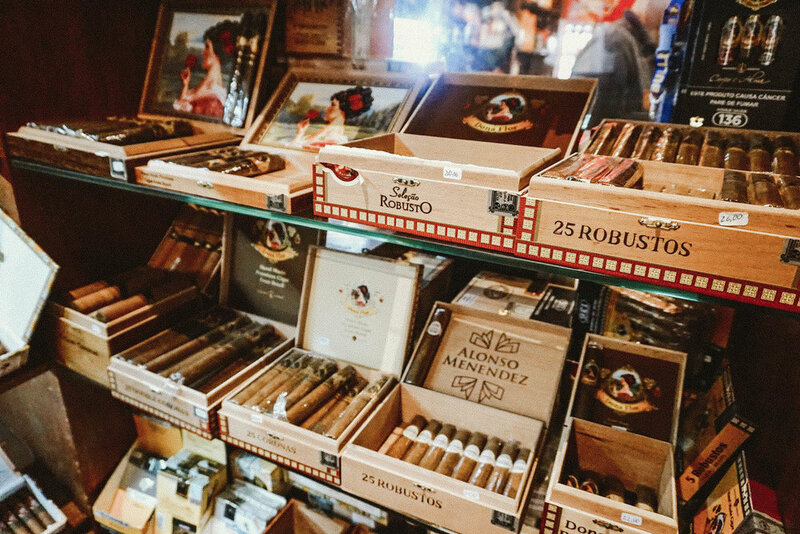 Stroll the market and check out all of the incredible local vendors. Don’t be shy if you have no idea what fruit or vegetable you’re looking at, the shop keepers are very friendly and will often let you sample it for free! I recommend going for the fresh fruits, vegetables, and authentic baked goods - you won’t be able to find anything like it anywhere else. Stock up on some beach treats or if you have a kitchen where you’re staying, head to the market to buy the freshest ingredients and have fun cooking like a local one night! Other cool souvenirs can be found here and because you will inevitably end up this part of Rio, it’s a win win all around! Putting in the cobblestones one by one. Definitely worth spending some time here to explore! Cobblestone streets, unique pubs, cafes, and restaurants, amazing colours at every turn, what’s not to love? 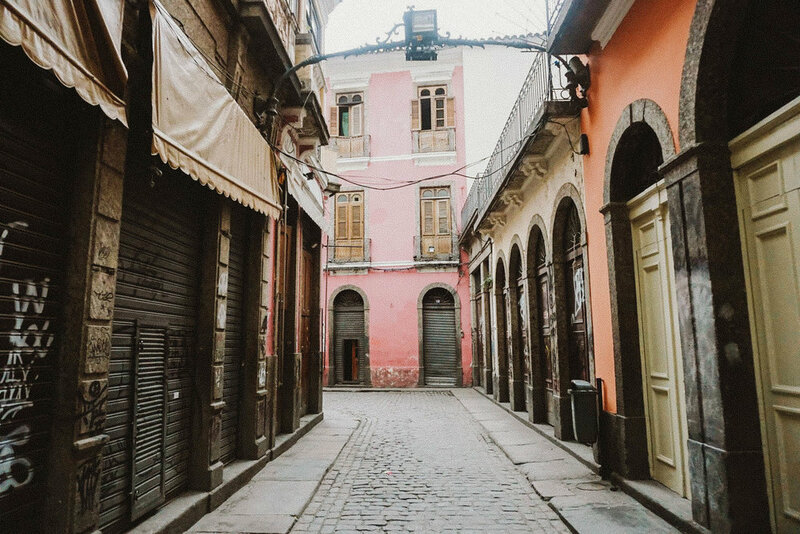 The alleyways are quiet, charming mazes with a lively atmosphere just around the corner. Several iconic monasteries and churches are also nearby and I recommend going into the Monastery of St. Benedict to marvel at the walls and sculptures covered in gold leaves! Make sure to stop for some baked goods and treats - there seems to be new things to try every block. Get lost while exploring this unique part of Rio, you wont regret it! Of course, I left this city feeling like I need to come back and continue exploring all the magical areas. 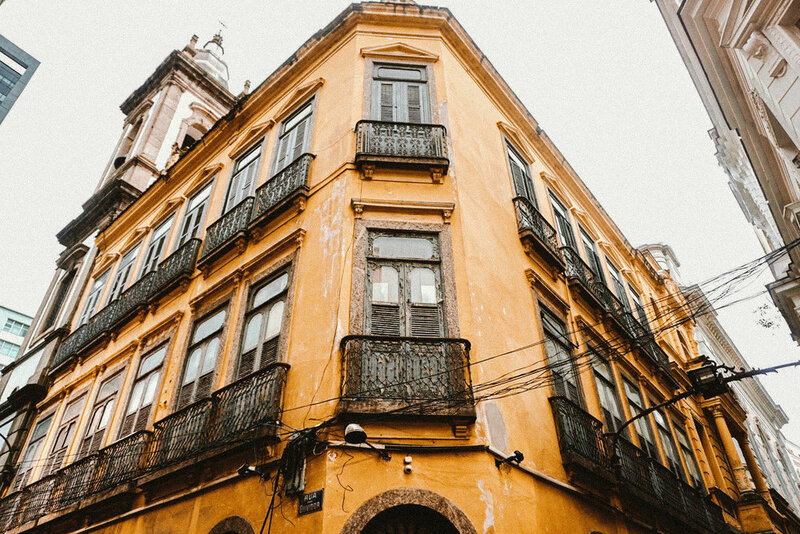 Rio is home to so many colourful and distinct neighbourhoods, you’d definitely need a lot of time if you were to really explore them all. There is so much to do in this vibrant city, I am certain every type of traveler would have a fantastic time here. I am craving an authentic açai so badly, I may have to return sooner rather than later!